With such a competitive market of designer showrooms and furniture megastores, what makes A&B right for you? 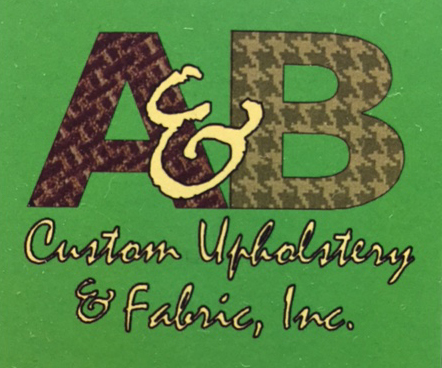 At A&B you aren’t paying for cookie cutter mass production, you’re buying a custom creation made exactly the way you want it. From fixing up an existing accent to recreating a show piece you eyed in a designer magazine, we tailor each piece to the specific look and feel you ask for. Simply bring in whatever needs work and tell us how you want it to come back to you. You’ve reviewed our proposal and would like for us to get started on your project. Once a decision is made, we will require a down payment which includes the price of your fabric (unless you provide your own) and up to half the total estimate agreed upon. Once payment is received, we will order whatever material is needed (special fillings, fabric, etc.) and we will begin any framework involved in your pieces.The fabric has arrived and it’s precisely the look you were hoping for. Your framework is ready and we are assembling your pieces. Welting is being added to the cushions while the final coat of lacquer is drying on the wood. We’re cutting loose threads, steam cleaning covers, and air dusting for a finishing touch. Expect a phone call to confirm your delivery or pick-up appointment.